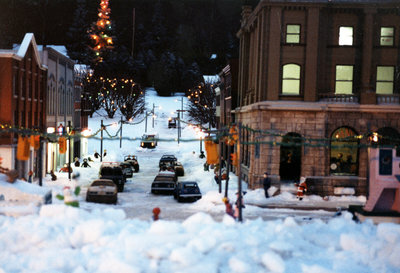 A colour photograph depicting a Christmas scene in the Miniature Village at Cullen Gardens. In this view cars are parked along a snowy street. Cullen Gardens and Miniature Village, December 1984, Photographer Unknown. Whitby Archives A2013_042_021.